Women of all ages everywhere can benefit from self-love. A marvelous reality is that when we love ourselves, the more access we have to an effortless flow of love between others and ourselves. It's neither vain nor self-centered to nurture ourselves because it serves everyone concerned. If you would like to open a door to love and joy in your life, this delightful little book has the key. I have expertly crafted this warm and easy to understand book in order to gently guide you through the simple process of breaking through old mistaken beliefs and learning to love yourself just as you are. The words and photos will nurture seeds of self-love that will grow like vines, reaching out and blessing your life and everyone in it. It is recommended that you give one to yourself and as a gift to your friends and family. See more endorsements for this book here. This book is dedicated to women the world over who are looking for ways to improve the quality of their lives, their communities and the environment. You are part of a growing population of gifted individuals who have chosen to walk the face of this planet at a very important point in time. Thank you for being willing to open your hearts and minds to the energy of self-love and acceptance that radiates from the pages of this book. You may be stepping outside your comfort zone by considering the possibility of loving yourself. You can start practicing the idea right now by congratulating yourself for having the courage to grow. Your willingness to evolve to a higher level of consciousness will undoubtedly touch the lives of many others. May you continue to awaken to the love that you were born to enjoy. 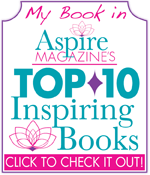 The Joy of Loving Yourself is featured in Aspire Magazine’s September Top 10 Inspiring Books list! Michelle Mullady is honored to be featured in Visionary Insight Press' Best-Selling Book "SPIRITUAL LEADERS DIRECTORY 2018: TOP PICKS"! Looking to discover your life's purpose and kick start your path to a life of progress and growth? Or perhaps you're searching for someone to assist you with a challenge? The journey of life is made easier when you have a highly experienced mentor working with you and helping you through situations that they may have passed through themselves. This all-encompassing book offers you a thorough compilation of world class specialists and renowned teachers who have a vast history of helping people in your position overcome their own challenges and surpass their preconceived mental and physical limits. Juried by the Visionary Insight Press Editorial Board, the Spiritual Leaders Directory equips you with comprehensive information, professional bios and contact information from specialist ranging from Anger Management to Healing Techniques to Zen Practices to help you connect with the best mentor for you. You can buy the ultimate companion for finding the best spiritual guides, coaches, teachers and motivators here. 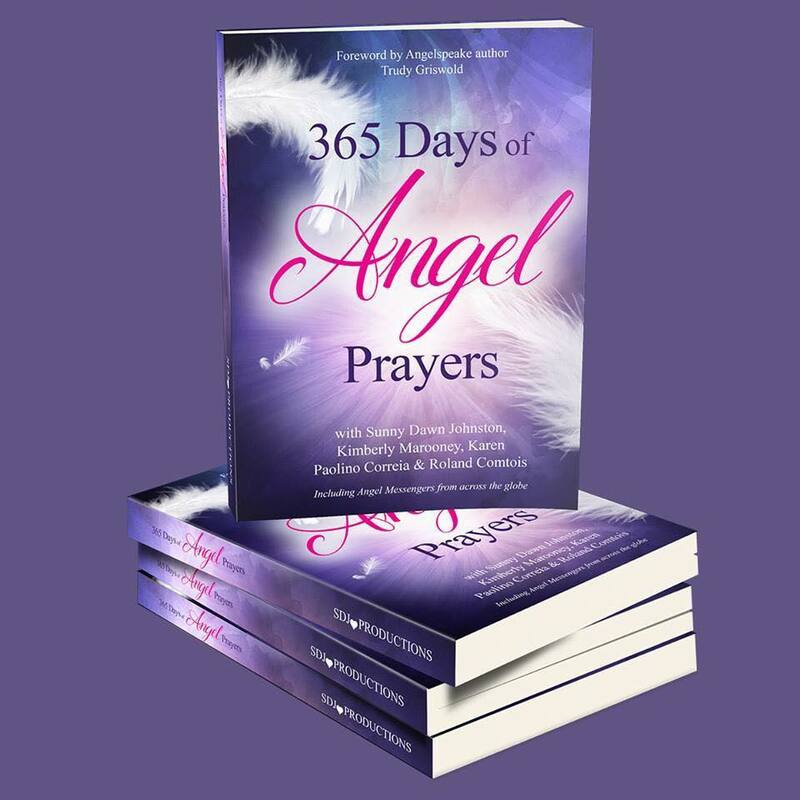 365 Days of A﻿﻿ngel Prayers﻿﻿ is an International Best-Seller and is ranked as the #1 Prayer Book on Amazon! That you can connect with the angels every day using unique prayers created by a host of Angel communicators! That you are part of a great illumination of love and light on a daily global basis! This revamped second edition features Sunny Dawn Johnston, best-selling author of Invoking the Archangels, Kimberly Marooney, Karen Paolino Correia, Roland Comtois and 148 angel messengers from across the globe! This incredible new book includes 56 motivational stories of wisdom, encouragement, and healing shared by the VIP 2017 SPIRITUAL LEADERS: TOP PICKS. Reading their words will inspire you to manifest your very own miracles and additionally, will teach you to see the ones already happening each and every day. You will be guided to heal your own life and embrace your full potential as a human being having a spiritual experience. In Michelle's chapter, Unite With Serenity, she shares "Seven Soulful Methods for Achieving Serenity" that are intended to guide you on the optimum path and help you to begin to free yourself from strife. Her intention is to support you by offering you ways to clear your stress and fear quickly because having tools for creating fast shifts, that will lead you back to tranquility, is imperative in this day and age. She wants to let you know that you can begin to restore your inner harmony and start experiencing life from a place of joy, contentment, and happiness on a consistent basis, in the same way she has taught multitudes of individuals worldwide to do over the past two decades. 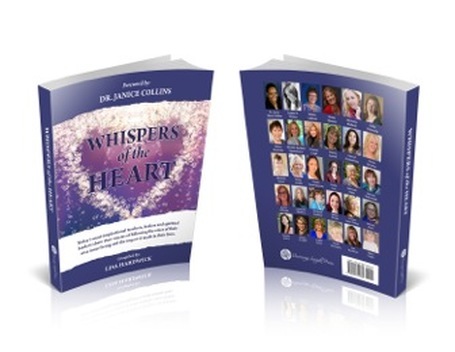 Whispers of the Heart features today's most inspirational teachers, healers and spiritual leaders sharing their stories of following the voice of their wise inner being and the impact it made in their lives. In Michelle Mullady's chapter, Listen to Your Intuition, Your Inner Voice, she shares five tools that will help you to awaken your intuitive silent super power and use it to bless your entire world. There is a universal, unconditionally loving, intelligent life force that exists within and all around you at every given moment. It dwells within you as profound insight, a bright guiding light, and a fluid fountain of inner wisdom. You can open up to this magnificent source and supply of know-how and good judgment through your intuition, a silent super power that tells you what feels correct and accurate for you at that point in time." Michelle Mullady was honoured when Jen Saunders, the founder of Wild Sister Magazine asked if she could use Michelle's August 2014 cover article, "5 Steps to Awakening Your Intuition" in her new book, Wild + Precious: The Best of Wild Sister Magazine. Michelle is one of 60 contributors that were chosen to be included in this fabulous project that reached #4 and #5 on three different categories of best seller lists, and #1 on three different Hot New Releases lists ... all within the first 24 hours. 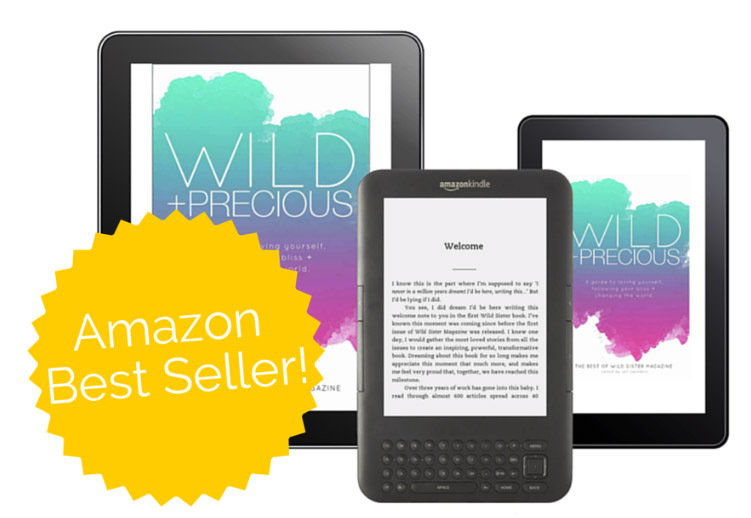 Order this Guide to Loving Yourself, Following Your Bliss + Changing the World here! The book entitled, AWAKEN, shares motivational stories from today’s most inspirational teachers, healers and spiritual leaders about how they stepped into a higher plane, awakened and discovered true peace. ﻿﻿Have you ever ha﻿﻿d a wake-up call that brought your whole world into focus … one that jolted you out of your comfort zone? I now know that those unexpected challenges are meant to deliver evolutionary options. They are the awakening trumpets that herald crossroad opportunities for us to expand our consciousness and "lean in" to our Higher Good. … The courageous women authors in this book were all awakened by significant events in their lives and wisely chose to empower themselves by making changes. The process was never easy, yet it expedited their blossoming into radiant beings here on Earth. Several of the ladies had occurrences of Angelic Intervention which shifted their perspectives or even saved them from peril. They arose, dusted themselves off and made new choices that brought them inner peace and joy. These women then wrote about their transformational incidents from a place of deep gratitude. Gratitude is the key to long-lasting bliss and fulfillment. The more we bless those magical moments that brightened our existence, the more they'll feel 'invited' to return … because, sometimes, even guardian angels need a green light!" In Michelle Mullady's chapter, Life Is About Who You Love, So Love Yourself, she shares 11 'Love Yourself' tools that have worked for her and countless others who she has guided over her many years in private practice. Each person creates a unique pattern to incorporate these tools into their own lives. You are invited to do the same.